An Enduring Symbol of Freedom for over 150 Years, Now in Silver! Since 1857, save for a couple months of restoration in 1993, the "Statue of Freedom" has graced the top of the United States Capitol dome. Weighing in at an estimated 15,000 pounds and standing at a height of around 20 feet, this statue is a true colossus in bronze, full of symbolism and history. And, while Thomas Crawford died tragically before he saw his most famous creation cast and hoisted on top of the Capitol, the "Statue of Freedom" still stands as lasting allegory of one of our country's most central tenets. While this statue has appeared on coins, postage stamps and other official designs, it has never been featured on a major series of silver bullion. That is, until now! 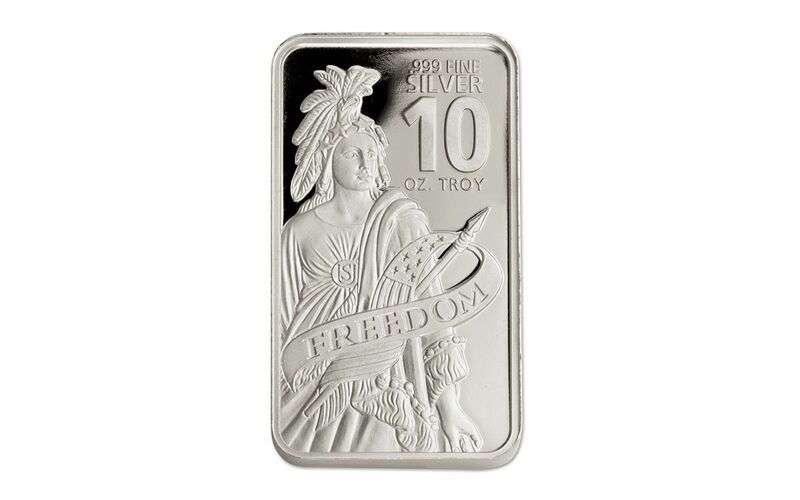 GovMint.com is proud to present the 10-oz Silver Freedom Bar! 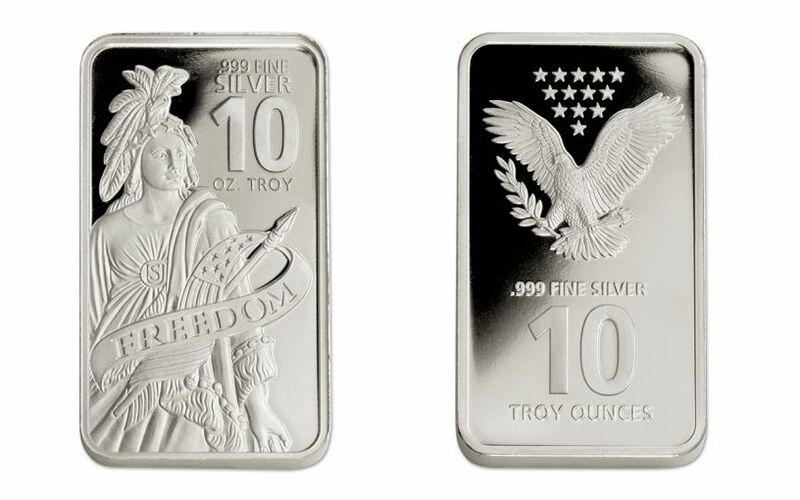 Designed by acclaimed artist Chuck Daughtrey, the face of "Freedom" is brought to vivid life in 10 troy ounces of 99.9% pure silver. Flip to the other side of this proof-like ingot and you'll find a heraldic bald eagle with a bough of olive branches in its right talon and a bundle of arrows in its left talon -- all crowned with a triangle of 13 five-pointed stars. When this design came across our desks, we were immediately awed by the intricate detail and lifelike recreation of this American icon. Once you see it in person, we're positive you'll fall in love as well. That said, we don't expect our supplies to last long when word gets out. If you're looking for beautiful bullion, now is the time to act. 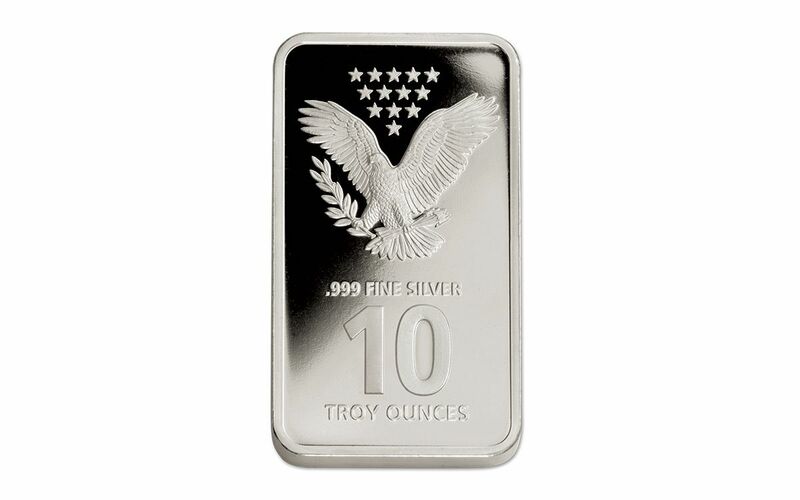 Get your 10-oz Silver Freedom Bar today!